The Lush Summit 2018 attracted almost 2500 attendees, over 62 000 unique Livestream views and achieved 15.1 million impressions over the course of the two-day event. 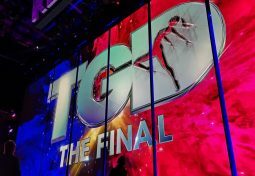 The experience covered 40 000 square feet and 12 themed spaces, and the AV included 224 LED panels, 64 LCD screens, 24 laser projectors and 6 media servers. And the topics under discussion at the summit were just as big as the event itself. What is the Lush Summit about? 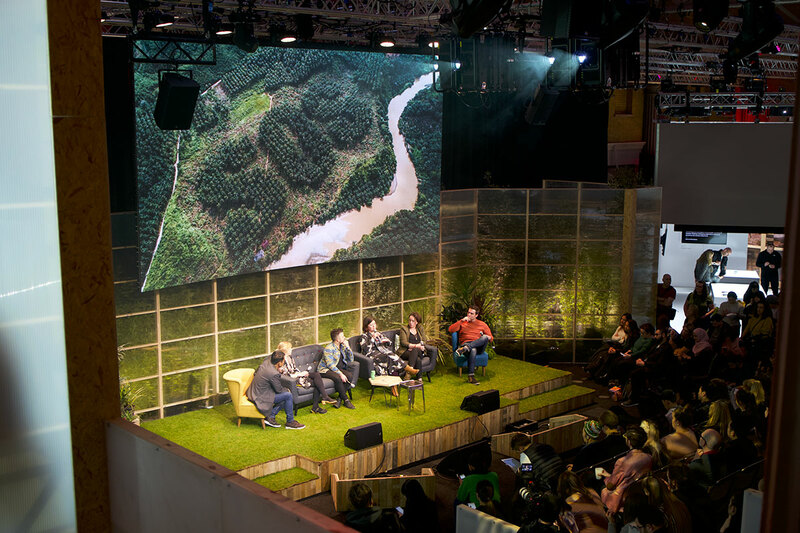 Lush’s annual summit is designed to accentuate the ethical side of the business and includes talks, debates and experiences that focus on human and animal rights, environmental issues, sustainability, conservation and activism. The event is aimed at global press and influencers, Lush staff and the general public. The 2018 summit took place on the 14th and 15th of February and was promoted as both a traditional and digital event, giving changemakers across the globe the opportunity to tune in to Lush Player to view content and be part of the experience. Anna Valley’s role at the Lush Summit 2018. Lush Summit event producers, PDS, have a longstanding relationship with Anna Valley and have relied on the team to provide LED displays for a number of their previous events. 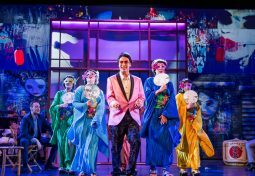 “Some of our projects are quirky and require a flexible approach, the Anna Valley team have always been creative and thrown themselves at anything we come up with,” explains PDS Director, James Johnson. 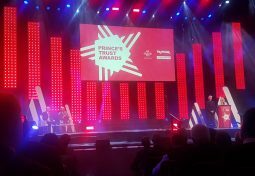 “They’re one of the biggest and best providers in the industry and they’re professionals in the video world.” After visiting Anna Valley’s showcase in January, PDS chose the AV team to provide and co-manage all the video display technology for the Lush Summit 2018 – just four weeks before the event was scheduled to take place. Tight timelines weren’t the only challenge this event presented for the AV team. 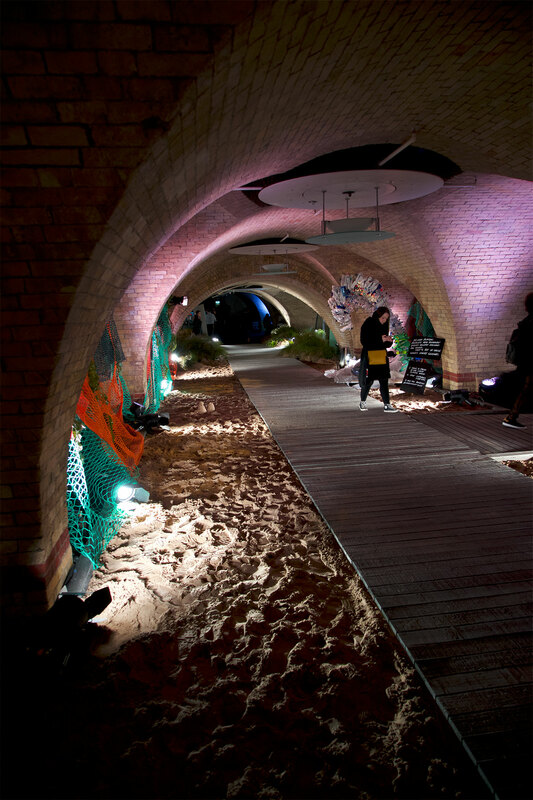 Every inch of all four floors of the Old Billingsgate venue was needed for event activity, there were extensive build requirements (including a raft floating in water and the construction of a boardwalk over ten tons of sand in the basement) and the team of operators included a combination of PDS and Anna Valley staff. But any difficulties were offset by PDS’ clear vision for all the presentation spaces and their determination to deliver an outstanding event. The 6m x 3.5m, 2mm LED curved screen on the main stage. This impressive display was flown above the 8m long, grass-covered stage, and was controlled by a Barco E2 presentation system. Anna Valley also provided comfort monitors, Sony HXC system cameras, a portable production unit and repeater screens as well as the technical staff required to capture, cut and share live relays of presentations from the main stage. 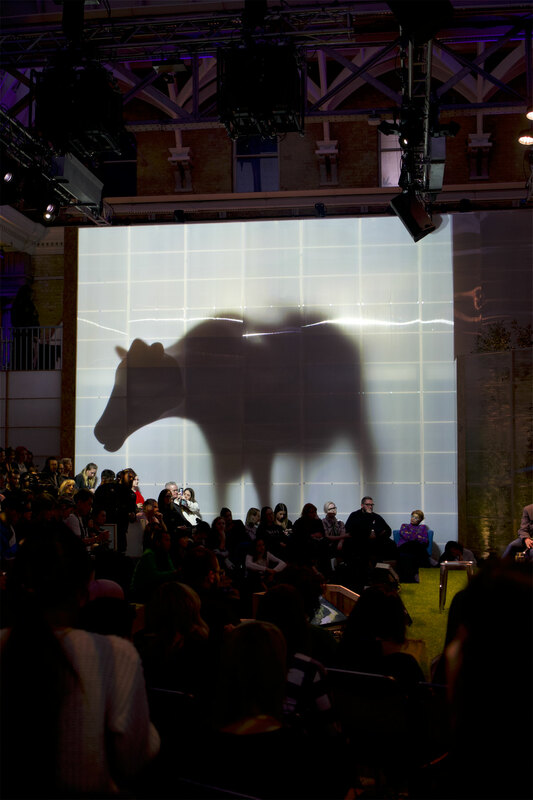 Four Panasonic RZ21K projectors were hung in portrait orientation and two HIppotizer Boreal media servers were used to blend their outputs to create two-story-high silhouettes of animals moving across the corrugated plastic façade of this structure. 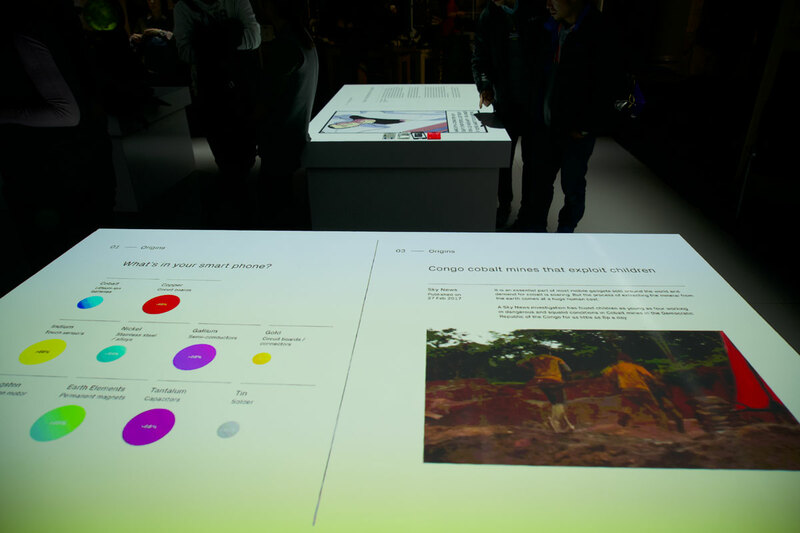 Four Panasonic RZ12K projectors were roof mounted, facing down, to project graphic and video content onto table-tops to aid presentations in this area. 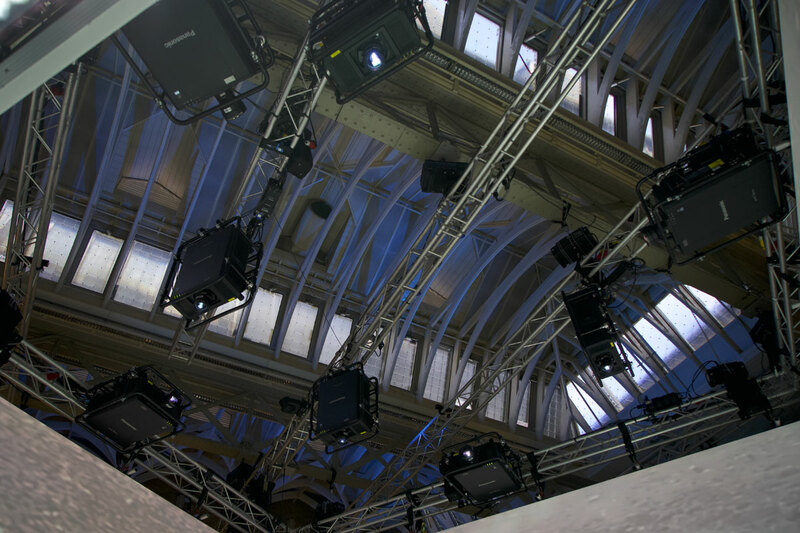 The outputs from an additional four Panasonic RZ12K projectors were then blended to project a seamless image onto the inside walls of a rectangular truss which was suspended from the ceiling. Content for these displays was managed by two Hippotizer Boreal+ media servers. 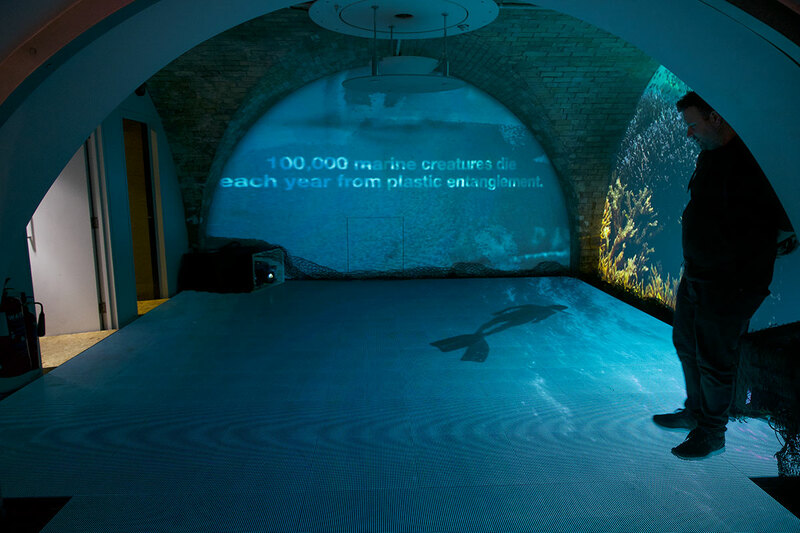 Anna Valley merged graphic content of microplastics in the ocean with footage captured from two live cameras to create an interactive display in this basement space. 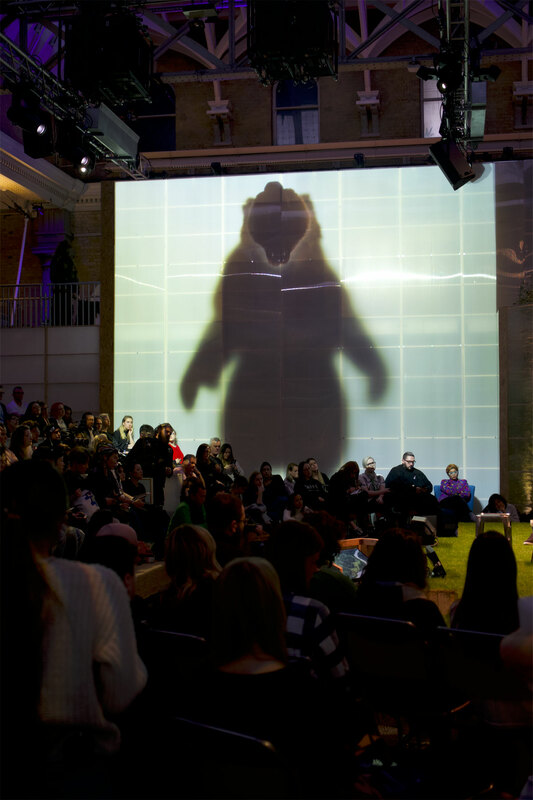 The merged content was created using two Hippotizer Boreal+ media servers running a Notch real-time effects layer and was displayed on a 5m x 5m, 7mm LED Floor and projected using two Panasonic RZ12K projectors across two walls. 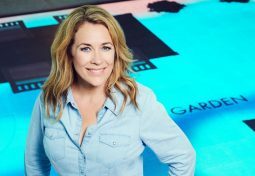 Attendees could also immerse themselves in a shark water display which was built by putting three, 95-inch screens together, in portrait orientation, to create three sides of a cube. 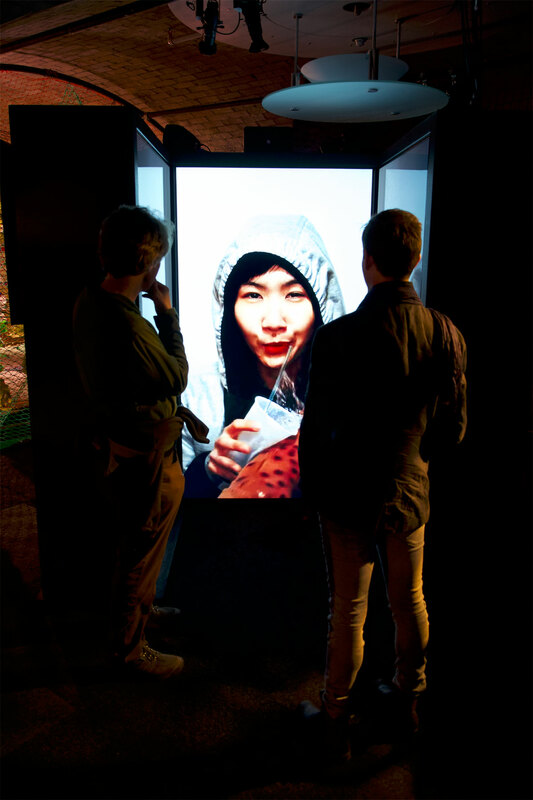 The three screens combined to create one canvas for the content, so that visitors entering the U-shaped display were surrounded by a single image. 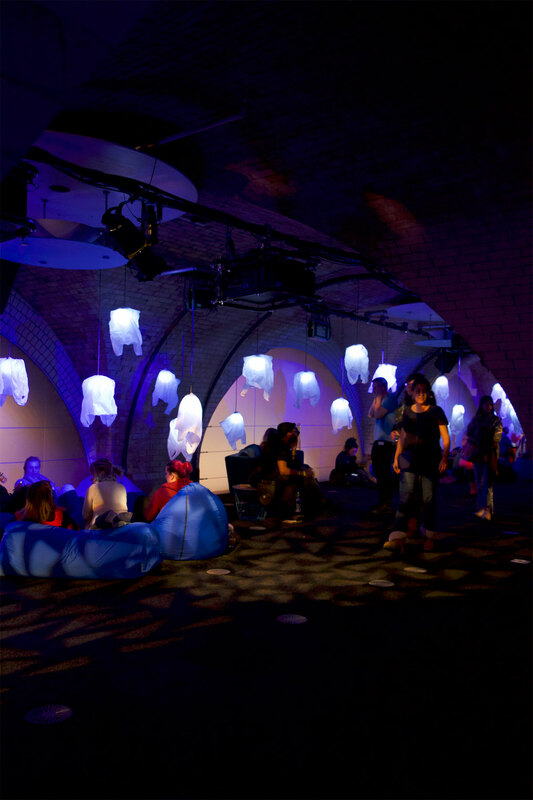 Finally, a tranquil display of a jellyfish swarm was projected onto a 9m long x 2m wide frosted glass wall by blending the outputs from six, 9K Panasonic RZ970 projectors. The Lush Summit 2018 earned 419 277 social likes, comments and shares for the brand and was an indisputable success, but this level of digital engagement would not have been possible without the live event. 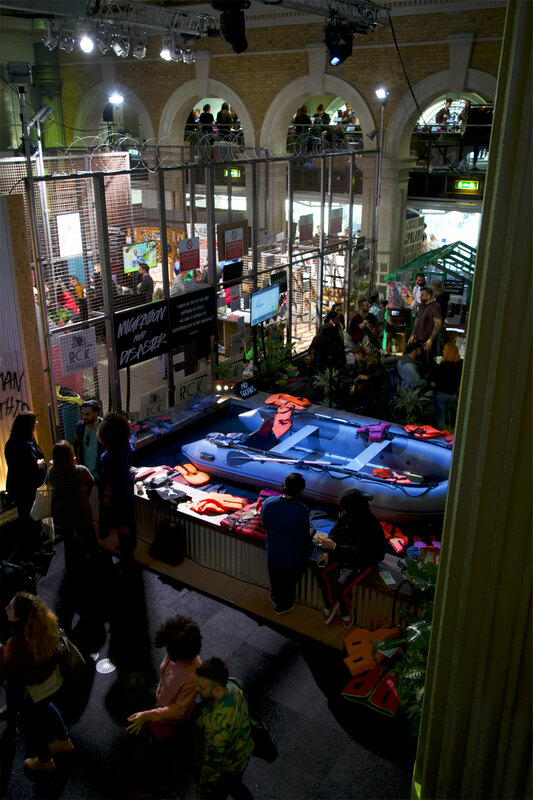 By creating a relevant, topical and visually exciting live event that was equally as focussed on the physical attendees as the digital audience, Lush and PDS found the sweet spot in event success. We loved being a part of it.